Email marketing plays a vital role in keeping you in touch with your customers, followers (Social Media and Blogs) and potential prospects. Email marketing [email nurturing] helps you build relationships and guide contacts toward sales conversations when they are ready. A permission based email marketing strategy is a staple in any digital marketing plan. Email has long been the killer application on the Internet since the 1980s. Despite the overwhelming amount of email we receive, a well-executed email marketing campaign strategy can play a key role in your digital marketing plan. 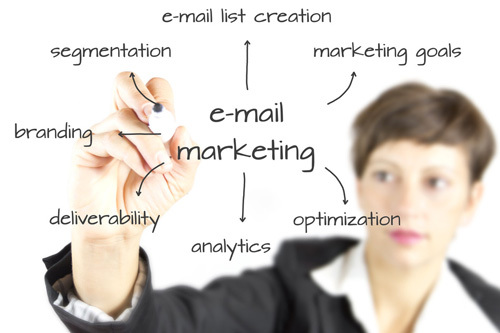 Email marketing does wonders by keeping in touch with your customers/clients and prospects. However, there is a huge difference between simply running an email campaign and maintaining an effective one that drives traffic to your website or blog and converts your readers to regular customers. As a business [Entrepreneur], you have to learn how to maximize your email marketing campaigns especially if you are utilizing a paid email marketing campaign software. Resources are valuable and you don’t want to waste your email marketing efforts or finances on ineffective email marketing campaigns. Top email management programs include Aweber, Mailchimp, GetResponse, ConstantContact and iContact. The delivery of your email marketing communication is an important aspect that needs attention to detail. It should be delivered consistently through advanced scheduling. Additionally, some experimentation is healthy to test sending content variations and messages on different days and times including on the weekends. Constantly testing and revising is an essential element in effective targeted email marketing strategies. When someone responds to a call to action, it doesn’t mean they are ready to buy your product. it’s important to set up a nurturing strategy with contacts to continue to touch them in relevant ways. email nurturing requires strategy and technology to set up nurturing plans that address the appropriate stage of the contact’s relationship with your company. a nurturing strategy can build online relationships during the contact’s journey so when a contact is ready to engage in a sales conversation, your brand is top of mind. Get more from your email marketing with iContact’s Ten Rules for Successful Email Marketing. This free guide gives you ten ways to boost your email results, with real-life examples from businesses that are now winning more customers. Get Free Guide: Ten Steps to Email Success! You’re ten easy email-marketing tips away from more customers: Download your free guide today!